Families Only. House parties strictly prohibited. 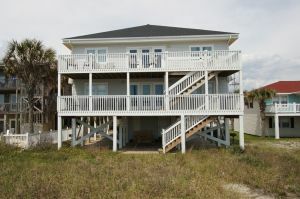 North and South Duplex is a two-story, oceanfront beach duplex on stilts. The lower level is "Down." 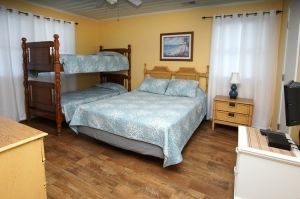 This non-smoking North Myrtle Beach vacation rental is a four-bedroom, four-bath rental that sleeps 14 people quite comfortably. 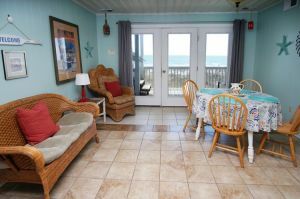 Aside from its oceanfront location, there are lots of other important details to tempt you in this North Myrtle Beach, South Carolina vacation rental. 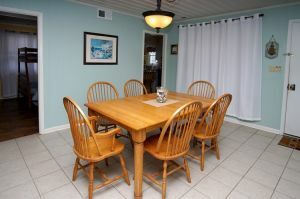 There is wireless high-speed Internet access so there is no need to leave the computer home. There are several televisions and DVD players. 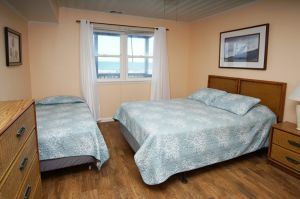 Outside, there is a furnished covered porch, a perfect place to enjoy the ocean view, the sound of tumbling waves and wind whispering through the sea grass. When you opt to hit the beach, you will appreciate the fact that the Cherry Grove Pier is an easy stroll. 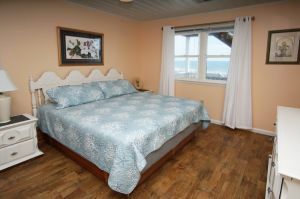 It is a fun place to fish, of course, but it is also a great place to take a walk and soak in breathtaking ocean views. 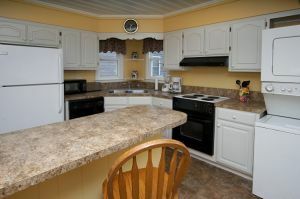 Amenities also include a washing machine and clothes dryer at North and South Duplex Down. 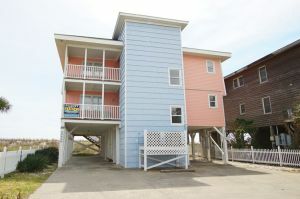 This North Myrtle Beach location, in the Cherry Grove section, is centrally situated to live entertainment theatres, championship golf courses and award winning seafood restaurants. There are also shopping venues snazzy and outlet style in Myrtle Beach, South Carolina. 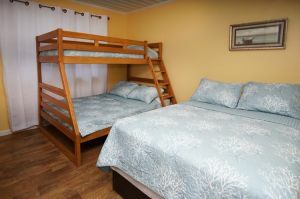 There are so many attractions and amusements, especially water sports, it is impossible to detail each and all. Rest assured no one will want for things to do; they will wish for time to do them all. Pets under 35 pounds are welcome.